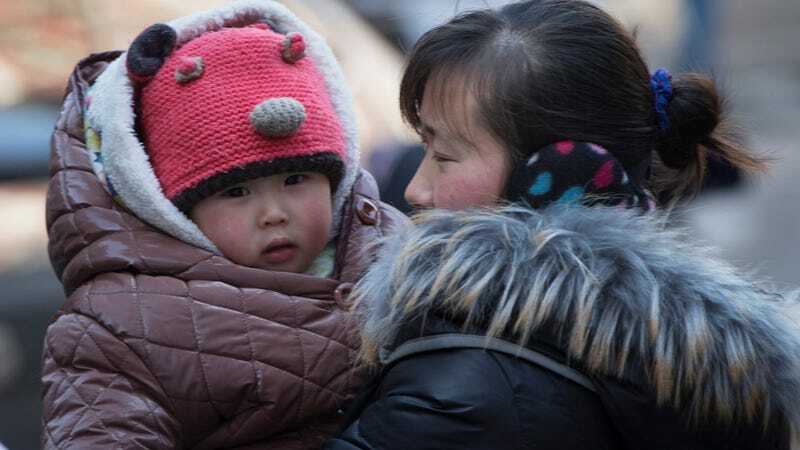 Three years after loosening its one-child policy, China is planning on doing away with all limits on how many children people can have, Bloomberg reports. The one-child policy, in place for 35 years, accelerated an aging population, created a massive gender imbalance, and provoked human rights violations like forced abortions, forced sterilizations, infanticide and government-sanctioned child abductions. Although China shifted to a two-child policy in 2015, sources told Bloomberg that the government seeks to steady a still-plummeting birthrate and improve its international reputation. The State Council, China’s cabinet, has commissioned research on the repercussions of ending the country’s roughly four-decade-old policy and intends to enact the change nationwide, said the people, who asked not to be named while discussing government deliberations. The leadership wants to reduce the pace of aging in China’s population and remove a source of international criticism, one of the people said. Proposals under discussion would replace the population-control policy with one called “independent fertility,” allowing people to decide how many children to have, the person said. “Independent fertility” or no, the authorities in Beijing are not entirely relinquishing their control over women’s bodies. Now that there aren’t enough young people, population control is being swapped out for pressure campaigns pushing married, educated women to have more children. (Italy did something similar in 2016 with a heavily-maligned “Fertility Day” campaign.) Thus far, it hasn’t been a spectacular success. The change in policy could be announced “as soon as the fourth quarter,” Bloomberg reports, or potentially in 2019. What Will China Do About Its Woman Shortage?